Other than wolves, a dominate pair or territorial group of coyotes are probably the toughest characters in North America. 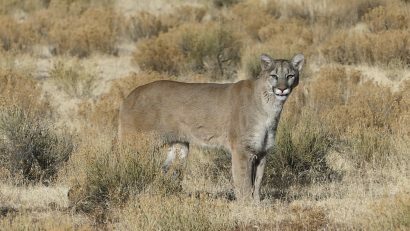 Check out this video of a pair of dominate coyotes treeing a tabby lion! a day in the high desert with Predator Exclusives. 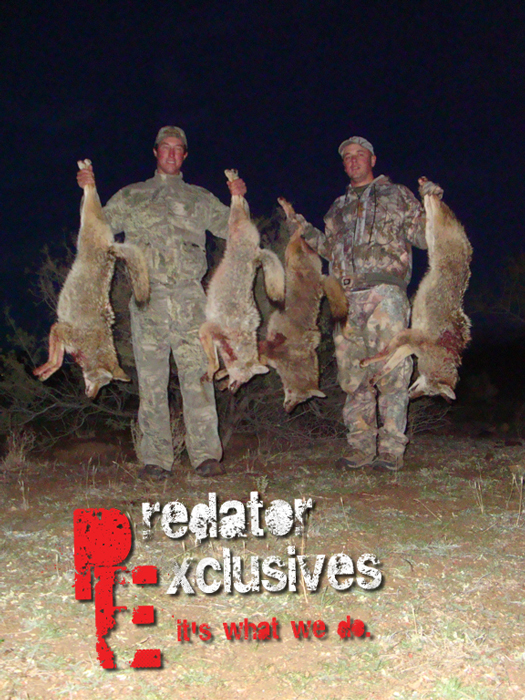 A couple good size desert coyotes held by Predator Exclusives Guide Chris Chavez. A typical day of cold calling in the high desert will result in 2-4 coyotes on the ground. With a lot of scouting, good weather, and a little luck, 5-10 coyotes in one day is very achievable. 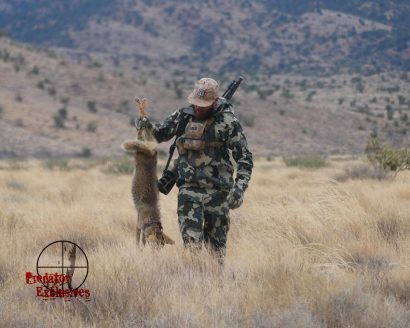 Keep in mind, the best hunters will average around 65-70% kill ratio on coyotes. 50% is what we expect from our new clients, as coyotes are one of the most challenging predators to get on the ground. So, in order to get 5 coyotes for our clients we must average around 10 coyotes on our stands. A typical day of calling in the high desert.